Pedro Laza y sus Pelayeros were a prominent group of porro from San Pelayo in Cordobá, the birthplace of one of two major styles of Colombian porro. Porro is basically a more modern-sounding, jazzed-up version of cumbia that is danced more like a salsa than the traditional cumbia (more legwork, less hips). It’s got a big-band jazz sound, and relies more on brass instruments like trumpets, trombones, and saxaphones than the gaita flutes of cumbia. You’ll definitely hear solos and improvisation, but also a very familiar percussive cumbia beat. I love this record. I think it’s fun and accessible, especially for older latin music (it’s probably from the 60’s). El cebú (“The Zebu”). A Zebu is a kind of Indian cow imported to Colombia. Haha! 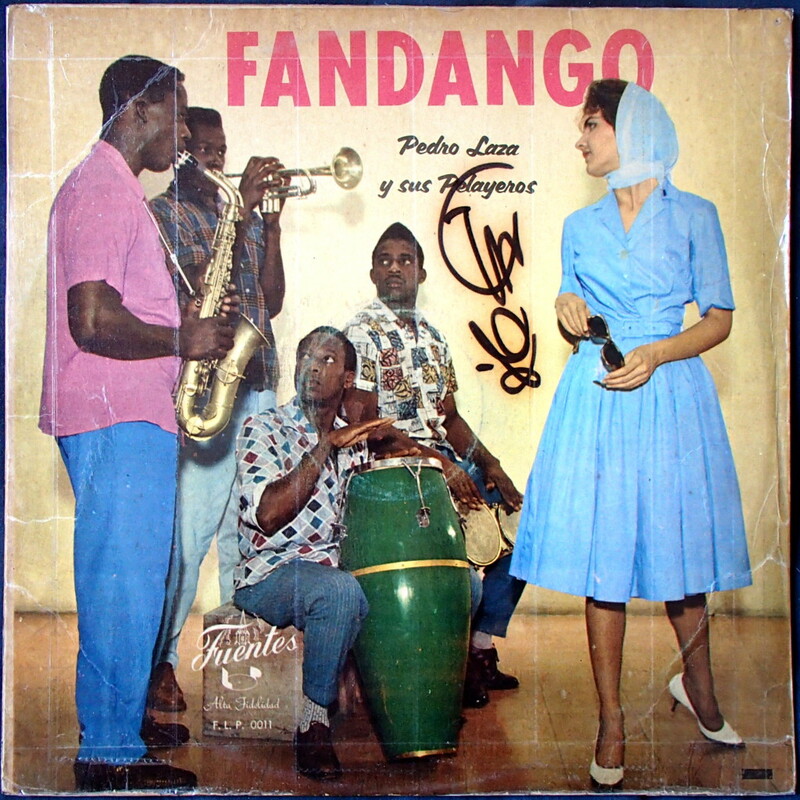 El arranque is a Fandango, the album’s namesake. Fandangos are a fast-paced and rhythm-heavy kind of coastal Colombian music. Their origins lie with a Spanish ballroom style of the same name, but it’s hard to see the similarity, apart from the 6/8 rhythm. Cero treinta y nueve (“Zero Thirty-Nine”) is a beautiful Paseo, actually a type of vallenato rather than a cumbia. It’s easy to play and dance to, although this one is a lot faster than your typical (very romantic) vallenato paseo. This particular tune is a well-known part of the Colombian musical folklore, and this rendition is a bit unusual in that you’d almost always hear an acordeón leading the way, along with the vocals that here are replaced by trumpets.